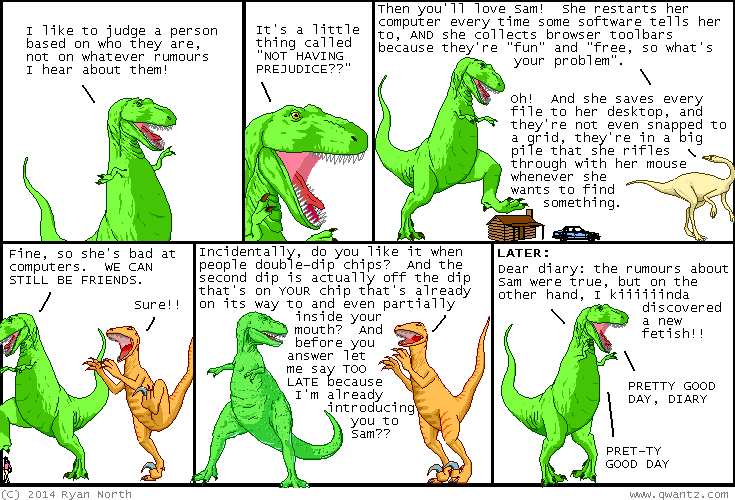 Dinosaur Comics - November 25th, 2014 - awesome fun times! One year ago today: SHRANKSGIVING: It's not celebrated everywhere. It's um... it's a small holiday.